An interview with Metropolitan Hierotheos of Nafpaktos and St. Vlassios by Pavel Chirila, Professor and Doctor at St Irene’s Hospital in Bucharest (Romania). 1. Question: Tell us something about death, something that comes spontaneously to you, something you consider extremely important. In addition, it brings to my memory the Service of the Resurrection of Christ, which we Orthodox celebrate with splendor. We hold lit candles in our hands and sing triumphantly the hymn of victory: “Christ is risen from the dead, by death He has trampled down death, and on those in the tombs He has bestowed life”. This beautiful image shows our attitude towards life and death. We are corruptible and mortal, but we possess the “medicine of immortality”, which is the resurrected Christ. Employing modern terminology, we may say that by the incarnation of the Son and the union of humanity with the divine nature in the person of the Logos, a “spiritual cloning” has taken place; our mortal nature has been united with the life of God. This is why death has changed its name and is now called “dormition” (falling asleep), and the places where the departed ones are buried are called “cemeteries” (“dormitories” in Greek, where people sleep), not burial grounds. So, when I see people holding a lit candle and chanting “Christ is Risen” on the night of the Resurrection of Christ, I understand better that we should regard death as a process of passing from the “land of Egypt” to the “land of Promise”, from death to life, which takes place in Christ, and as a hope for our resurrection which again takes place in Christ. It would be very fortunate if we were to anticipate death in this position, holding the candle of the Resurrection and chanting “Christ is Risen”. After all, we are “strangers and pilgrims” in this life; our true country is elsewhere. I am always impressed by the words of St. Nicholas Cabasilas (14th century), that while we live here on earth we are like an embryo in our mother’s womb, and at the moment of death we are born, we get out of that womb. This is why in the Orthodox Church the saints are celebrated on the day of their dormition or their martyrdom, not on the day of their physical birth. 2. Question: We understand from Holy Scripture that there are two kinds of fear: a holy fear, which is fear of God and the beginning of wisdom according to the psalmist, and another kind of fear inspired by demons, which is pathological fear. To what category does the fear of death belong? Answer: Indeed, there is a fear of God which is an energy of the grace of God and the beginning of salvation, that is, man fears/respects God and starts obeying His commandments; and there is a fear inspired by demons which causes anxiety and anguish. However, besides these two fears there is also another fear, so-called psychological fear, which is related to a person’s insecurity and emotional inadequacy. The fear of death means something different for each person. For secular and atheist people it is related to the course to “nothingness”; that is, they think that they leave the only existing world and end up in the nothingness of non-existence. 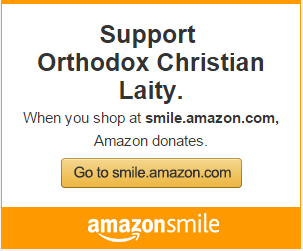 This is something that does not exist for us Orthodox. For Christians, the fear of death is related to the soul’s departure from the world they know, their friends and relatives, and its entry into another world they do not know yet. They do not know how they are going to live, what will happen with God’s judgment which follows death. This is why hope and proper preparation is needed. Of course, those Christians who have reached the illumination of the nous [the perceptive mind where we can sense or perceive the presence of God]and deification and have been united with Christ transcend the fear of death, as exemplified by the life of the Apostles, the Martyrs and in general the Saints of the Church. In reading the Synaxaria, we see phrases like: “On this day saint (so and so) is perfected in peace” or “is perfected by the sword”, etc. It has to be underlined that in Greek the verb “teleioutai” means “is perfected”, is led to perfection, and differs from the verb “teleionei”, which means “ceases to exist”. We may also say that the life of the senses (“vios”) is terminated by death, while life (“zoe”) is perfected but not terminated. What is important is that, with the spiritual life we live, we should defeat the fear of death and feel death as a path towards an encounter with Christ, the Panagia [All-holy Birthgiver of God] and the saints. According to the teaching of our Fathers, angels and saints, often even Christ and the Panagia, appear to those about to die in order to support them, to strengthen them to avoid the fear caused by death. The demons also appear, especially when they are able to influence certain people because of their passions, and they demand power over their souls. We are reminded of this in the prayer to the Panagia in the service of the Compline (“Apodeipnon”): “At the hour of my death, care for my miserable soul and drive the dark faces of evil spirits far from it”. 4. Question: We read in Holy Scripture that mercy has exceeded judgment. Does this mean that almsgiving absolves a multitude of sins? Answer: We have to see what mercy means. In reality, mercy is the feeling of divine grace, the love of God. When we pray saying “Lord have mercy”, we ask God’s mercy, God’s grace. He who experiences divine grace is generous to his brothers with all sorts of charity, expressed by prayer, theological words, material contributions, and thus puts into practice the beatitude “blessed are the merciful for they will be shown mercy” (Matthew 5:7). In this sense, it can be said that the feeling of God’s mercy and almsgiving transcends judgment. He who has been transformed spiritually and has been united with God does not fear judgment, for what Christ said applies to him: “I tell you the solemn truth, the one who hears My message and believes the One who sent Me has eternal life and will not be condemned, but has crossed over from death to life” (John 5:24). According to the teaching of the Fathers of the Church, there are three judgments. The first occurs throughout our life, when we are faced with the dilemma of whether to follow the will of God or to reject it, when we have to choose between a good and an evil thought. The second judgment takes place when the soul exits the body, according to St. Paul’s words “people are appointed to die once, and then to face judgment” (Hebrews 9:27). The third and final judgment will be at the Second Coming of Christ. The first judgment is important. At this point I would like to repeat the saying by St. Basil the Great and other Fathers of the Church that there are three categories of those who are saved, that is, the slaves who follow the will of God in order to avoid hell, the wage-earners who struggle to earn Paradise as a reward, and the sons who obey God’s will out of love for God. So, throughout our life we must advance spiritually and pass from the state of the slave to the state of the wage-earner and from there to the mentality of the son. This means to pass from fear and recompense to love. To love Christ, because He is our father, our mother, our friend, our brother, our bridegroom and our bride. This way we transcend the judgment. Preparation, by repentance, is essential. This is why Father Paisios of everlasting memory used to say that cancer is a saintly illness because it has filled Paradise with saints, meaning that a long illness prepares people with prayer and repentance. According to the teaching of St. Maximus the Confessor, pain cures pleasure. In any case, death is the most certain event. We see it around us, everything dies, all living creatures, our friends, our relatives. What is not certain and is unknown to us is the hour of death, when death will come. It may happen while sleeping, while walking, while travelling, while working, while entertaining ourselves, etc. This is why we should pray to God daily, as the Church does: “For the completion of our lives in peace and repentance, let us ask the Lord” and “For a Christian end to our lives, peaceful, without shame and suffering, and for a good account before the awesome judgment seat of Christ, let us ask the Lord”. In the teaching of the holy Fathers, we come across the truth that one of the greatest gifts a person can have is the daily “memory of death”. When this is maintained with the grace of God,it leads man not to despair, hopelessness, or psychological fear, but to inspiration, to prayer, creativity, even in human affairs, because he tries to finish his tasks and prepare properly. When we live each day as if it were the last day in our life, then even sudden death will find us ready. 6. Question: Which is the correct expression: “the hour of death” or “the moment of death”? This moment is important, because man’s mode of existence changes, and we cannot know how it will be from then on. We know the state where the soul is attached to our body, which communicates with the creation through the senses. We do not know by experience what is going to happen then and how we will be. At present we usually see the world created by God, people, friends, the beauty of earth, not angels and demons. Then, however, the soul will not see through the senses of the body but will see what is presently invisible. This is why the saints want to be conscious and pray during the process of death, in order to leave this world with prayer and to have the strength and grace of God accompanying them. We have to say that the privilege of being able to pray during these hours and receive communion of the Body and Blood of Christ, in order to be surrounded by the grace of God when the soul leaves the body, is eliminated in our days with so-called life support equipment in Intensive Care Units. From a Christian viewpoint, the hour and moment of death requires an appropriate preparation, that is, Confession, Holy Communion, Holy Unction, prayer by family and friends, our own prayer. However, in Intensive Care Units, it is impossible to such an ecclesial-pastoral ministry. Thus, because of existing modern techniques and drugs, in our days more and more people die not being conscious of what goes on at that hour and moment. This is an important problem. Modern medical methods pose a dilemma: “Prolongation of life or obstruction of death?”. With everything that is offered by medical science the question is: is our life prolonged so that we repent and devote it to God or is death obstructed, which creates a lot of pain, physical and existential? Answer: We Christians absolutely believe that we have been created by the God of love and that God directs our life, He gives life to us and He takes it when He considers it to be the right moment. We also know that God loves man whom He created and wants his salvation. Therefore, it is certain that God allows each man’s death to occur at the most appropriate moment. Of course, God’s love does not abolish the freedom of man. Man has the ability to act positively or negatively, to respond to the love of God or to reject Him. Since you said that some people die unexpectedly, I would like to remind you, that we should remember death continuously. We should not feel that we are going to live eternally on earth, because this is a spiritual sickness. There is an alternation between life and death, similar to the alternation between day and night. Modern molecular biology stresses that death is inextricably linked with life, because among the genes there are the genes of aging, which are found in the mitochondria. So, from the moment of our conception, death exists in the DNA, and we see death in our body with the death of cells and, generally, with aging, the passing of years, wrinkles, illnesses, everything which theologically is called corruptibility and mortality. We should not be myopic and behave like an ostrich. In this process we should know that God did not create us to die, that death is a consequence of the sin of Adam and Eve, and that God loves us and cares for us. He is our affectionate father. It is not correct on the one hand to pray with the “Lord’s Prayer”, the well-known “Our Father”, and call God “Father”, and on the other hand to live as orphans. 8. 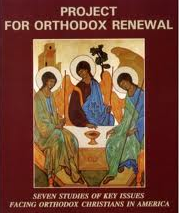 Question: The Orthodox faith attaches particular importance to repentance. We thank the Lord for giving repentance to us. Can repentance at the time of death be so great that a man is saved, even though he is burdened by great sins? Answer: In our Orthodox Tradition, it is known that sin is not something moralistic; it is ontologically something, namely, the course from life according to nature to life contrary to nature. Thus, repentance is man’s return from life contrary to nature to life according to nature. With sin, man lost his communion with God, with his brother and with the creation. With repentance, he acquires this communion once again. So, repentance is associated with a progression in man’s liberation from everything enslaving him. The Fathers described this progression in three words: purification, illumination, deification, and this is what is called therapy. This happens throughout life. Therefore, salvation is related to therapy. The physician of the body examines us, makes a diagnosis and recommends an appropriate therapeutic method which we should apply. The same holds true for the illness of the soul. A confession at the time of death opens for man the way to salvation. If he did not have time to be cured spiritually, then the Church with its prayers helps man to salvation, bearing in mind that perfection is endless, it is a dynamic not a static state. My Geronda [spiritual father], of everlasting memory, the Metropolitan of Edessa Kallinikos, lived continuously with the memory of death. When he was told by the doctors that he has a tumor in the brain, he confessed right away, he wrote his will, he prayed and had absolute faith in God, saying: “Perhaps God said to me ‘stop’. I don’t need you any more”. He would pray continuously saying “your will be done”. He gave himself up to God and had a peaceful and saintly end, similar to his whole life. Answer: Although the soul is separated from the body, man’s hypostasis [personality]still exists. As we see in the Parable of the Rich Man and Lazarus, the rich man is conscious of his state, of his relatives who are still alive, and he cares for them. Thus, after death, men care for their beloved ones and ask God for their salvation. All our prayers to the saints are based on this truth. Of course, this link between the soul and living persons is spiritual, not material. In the book of the Revelation of St. John which describes the celestial Divine Liturgy, one can see these relations of the saints with us and their prayer for all people living on earth. This is why our Fathers depicted in the Divine Liturgy this uncreated Divine Liturgy which takes place in the Heavens, in the uncreated Temple. In the Divine Liturgy we live the atmosphere of the heavenly Liturgy, and we anticipate it. Therefore, the soul continues to live after its exit from the body; it is not led to non-existence. If a person lived in repentance during his life, then his soul after exiting the body will enter this heavenly Divine Liturgy and will pray, like a spiritual priest, for the whole world, and will wait for the resurrection of the body. Then the soul will enter the body so that the body too participates in this heavenly Pascha celebration. 10. Question: What advice should we give to those close to us regarding our attitude to a person about to die on the day, or at the hour or at the moment of death? I remember the last moments of my Geronda. I was beside his bed and could not offer anything else; I just prayed to God for his soul to be received by angels. An aunt of mine who was present thought that I was sad, as I concentrated and prayed. But I was just praying, because that moment is holy and crucial. Overall, we must experience daily, as St. John Chrysostom says, that the present life is an “inn”. We entered this inn, we live, but we must take care to depart in good hope, without leaving anything here in order not to lose what is there. 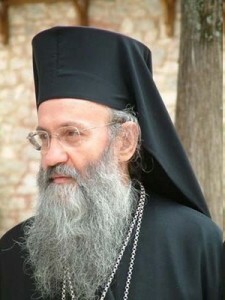 Furthermore, all of us Christians should realize that death has been defeated by the Cross and the Resurrection of Christ, that communion with Christ is a continuous transcendence of death and of the fear of death, that the exit of the soul from the body is a course towards the heavenly Church and the encounter with Christ, the Panagia and the saints, that the soul will return to the body, and the body will be resurrected and live eternally, according to the way it lived on this earth. St. Maximus the Confessor writes that from the moment of death, and especially after the Last Judgment, there are two possibilities: those who are in communion with Christ will live in “eternal well-being” and the rest in “eternal woeful being”. So, everyone will enjoy “eternal being”. The difference is between “well” and “woeful”. Therefore, our advice to the relatives and friends of those about to die is to have faith in Christ and confidence that we are not just citizens of this world, but we are travelers guided to our true country, which is heaven. Our citizenship is above in heaven. The desire for the heavenly land should overwhelm us. Originally posted on July 23, 2010. Have you ever heard a homily or attended a retreat devoted entirely to discussing our Orthodox view on “death?.” . Do you have a CD, by a choir ,singing the touching words of our funeral service? This beautiful article opens our eyes and our hearts, to what awaits us as we live our lives. I wish it were a book ,I could purchase. I have been diagnosed with Parkensons’ and may be closer to the time of my salvation than others. I have found this homily to be very comforting.